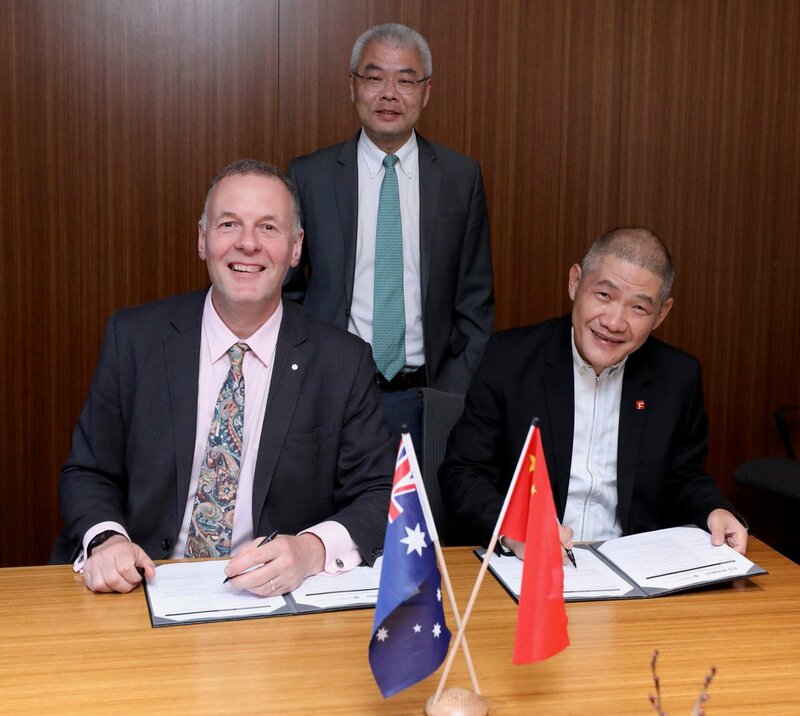 The University of New South Wales (UNSW) has signed a major collaboration agreement with China’s Hangzhou ­Cables to begin large-scale manufacturing of next-generation graphene power cables which promise to cut electricity costs and improve grid transmission. The agreement, which was announced during UNSW’s Torch Innovation Week, extends the May 2016 engagement between the two parties which aimed to develop more efficient graphene-based cables that would provide a 5% boost in electricity transmission in China, the world’s most populous country. An initial 10-metre prototype of the cable technology, developed at the Kensington campus by a UNSW research team led by materials scientist Professor Sean Li, showed that graphene can be used to stop electricity leakage that happens with conventional power cable and grids, which could deliver significant savings in electricity and emissions. Professor Brian Boyle, UNSW Deputy Vice-Chancellor, Enterprise, said the technology could save about 275 terawatt hours of power a year across China alone – equivalent to Australia’s entire annual energy consumption. “The ultimate goal in phase two is to continue optimising fabrication parameters to increase China’s grid transmission efficiency by 5%,” Mr Boyle continued.